A delicate silkscreen floral pattern creates a highly decorative effect in the creative Renoir product line. These durable steel 34 in x 80 in pre-hung entry doors will enhance the value and beauty of your home. Double bored, the door can accept a lock set and deadbolt of your choice. 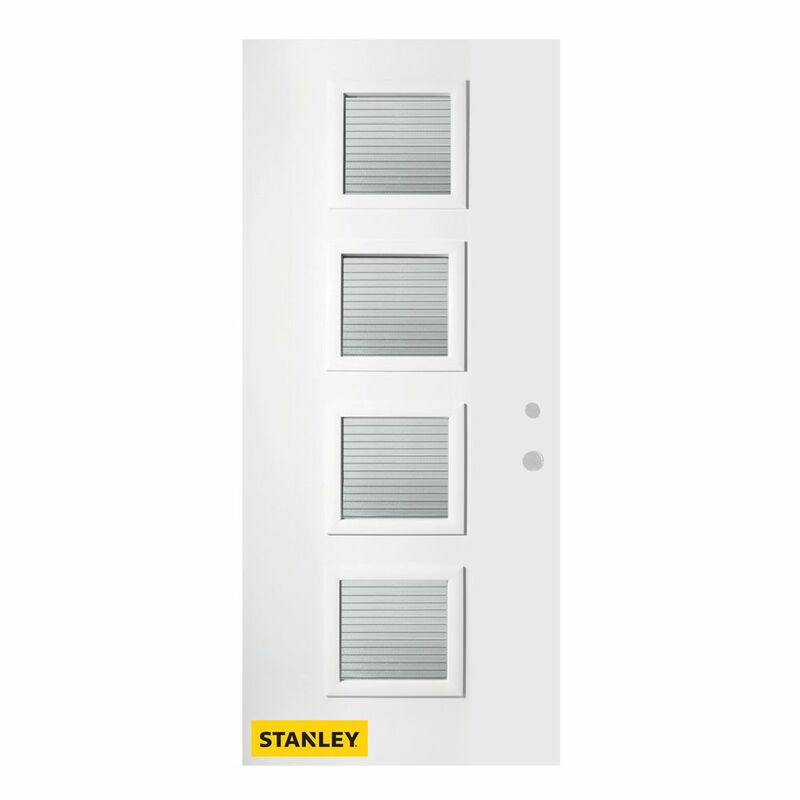 35.375 inch x 82.375 inch Evelyn 4-Lite Masterline Prefinished White Left-Hand Inswing Steel Prehung Front Door - ENERGY STAR® Stanley's Retro Collection of steel doors is definitely style-driven. These doors' retro style is both classic and current, while their performance is at a level that only a Stanley Door could provide. Their enhanced door lite frame adds an Art Deco appeal and further lends to their retro feel. This contemporary Masterline glass pattern will give your entrance a unique textured aesthetic. The bold pattern will also provide a high level of privacy, all while allowing for just the right amount of light to enter your home. Actual colours and appearance may vary slightly from image due to lighting.